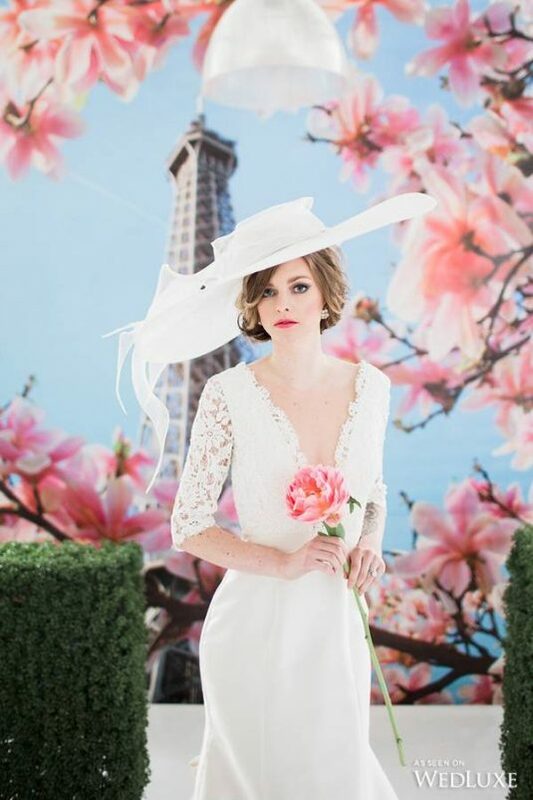 Inspired by Parisian style and iconic features of the historic city, this flowery and feminine styled shoot comes together in a harmony of elegant details. 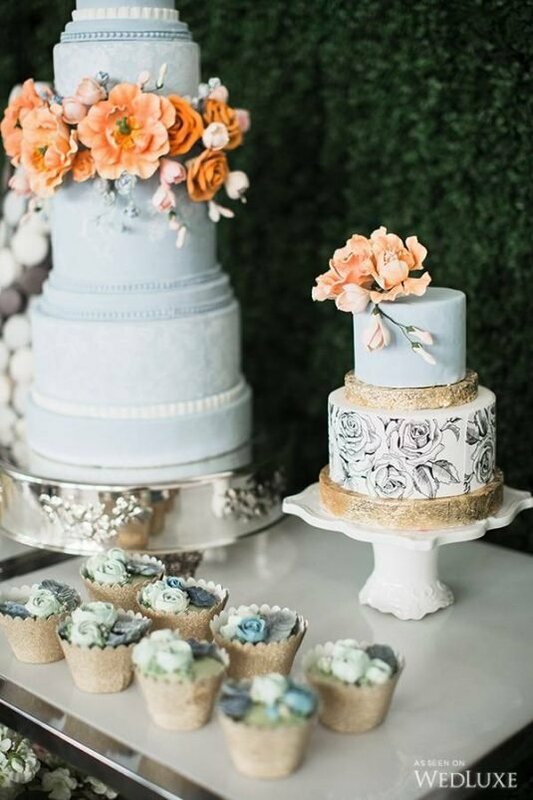 A traditional flower market cart, unstructured, romantic bouquet, and dessert display worthy of any Parisian pâtisserie has us dreaming of a trip to the City of Light! Photography • Crystal Hahn Photography, Producers, Concept design • Make my Day Count, Floral design • Ooh La La Designs, Venue • Airship37, Stationery • Lovely Little Design Co., Custom made gowns • Catherine Langlois, Shoes • Ted Baker from Heel Boy, Earrings • The Loved One, Custom hats and fascinators • David Dunkley, Hair and makeup styling • Nicole Richards & Co., Linens, napkins, cutlery and charger plates • Simply Beautiful Décor, Cherry blossom backdrop and runway Floor decal • Event Graffiti, Organic cotton candy and cart • Fancy Pufs, Flower Market Cart • Sugar Carts, Runway • Ontario Staging Limited, Couture Cakes, Sweet Table Styling and design • The Cocoa Cakery, Box Wood Hedges • Film Greens Toronto, Model • Sarah Jay, Puppy "Bala" • Pat Balint (Pet Owner), Macaron Tower • G & D Baking Co.